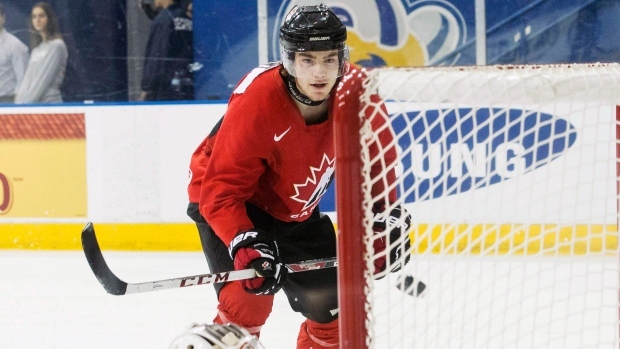 Brayden Point and Jake Virtanen had two goals and an assist each to lead Canada to a 6-0 victory over the CIS Toronto Selects on Sunday afternoon. Haydn Fleury and Morgan Klimchuk scored the other two goals, while Eric Comrie stopped 22 shots to earn the shutout. "(The) team did an incredible job," Comrie said after the game. "Pretty much 22 dump-ins. We have one of the best defensive corps you could wish for. Pretty exciting playing behind that." It was the second of two games between the two teams; Canada winning the first game 10-3 on Saturday. Virtanen and Point finished the two-game series with six and five points.